Keson Road Runner Measure Wheel - GS Direct, Inc. 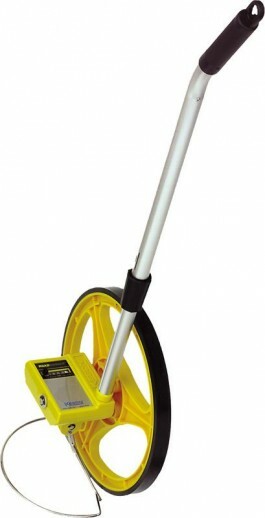 The wheel has a 39" circumference and is made of high impact ABS plastic for long life and durability. Telescoping aluminum handle adjusts to fit the user's height. Measure in feet and inches as fast as you walk.